Today, video game developer Deep Silver has officially announced the new Rigor Mortis version of their upcoming video game Dead Island Riptide. 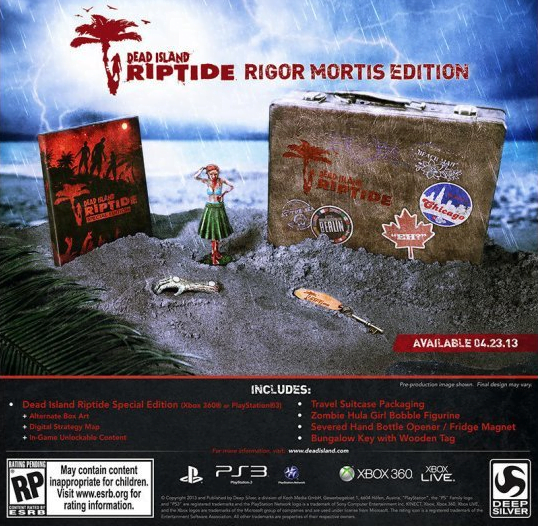 The Rigor Mortis version of Dead Island Riptide is set to retail for $79.99 and will be available only in limited quantities. Dead Island Riptide is set to hit store shelves on April 23, 2013. Will you be picking up the Rigor Mortis edition? Sound off in the comments section below!